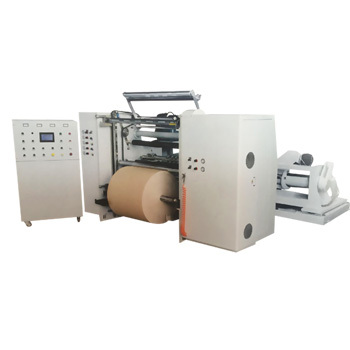 Three Motors High Speed Slitting Rewinding Machine applications for a wide range of flexible packaging materials(kraft paper,regular paper,bond paper,paperboard,thermal paper,carbonless paper,etc),various plastic films(BOPP film,PVC film,PE film,etc) and laminated paper,etc. 1. With PLC Control System and Touch Panel HMI to preset working parameters on the screen. 2. With 3 sets Yaskawa frequency inverters for motor control,one is for feeding and others are for rewind tension control which is implanted the PLC,easy operation. 4. With Pneumatic Brake from Italy for unwind tension control. 8. All transmission roller have been dynamic/static balance treatment. 9. Electical appiliances are strictly in accordance with CE certification.